Win an EXCLUSIVE, three day trip for TWO to Barcelona with the UKCSC! 7th September 2017 24th February 2019 GregLeave a Comment on Win an EXCLUSIVE, three day trip for TWO to Barcelona with the UKCSC! 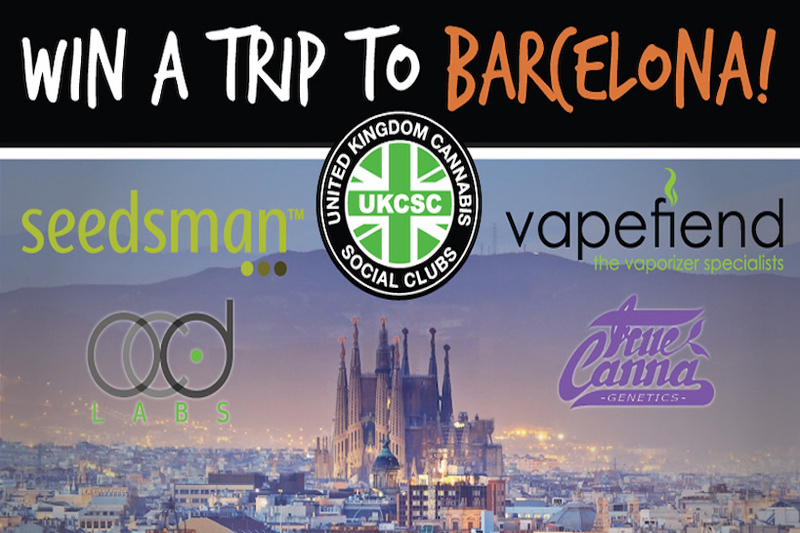 How would you like to win an EXCLUSIVE 420 friendly break away to Barcelona? 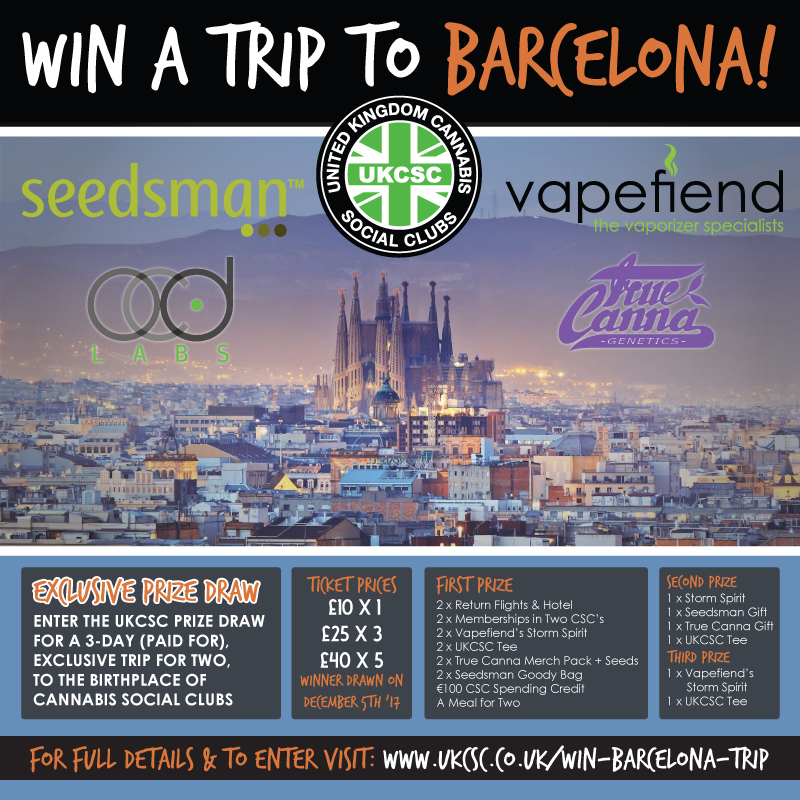 The UKCSC have teamed up with Seedsman, Vapefiend & True Canna Genetics to offer a lucky winning pair the amazing prize draw that will literally blow you right out of your seats & fly you off to the beautiful city of Barcelona, where you will experience & enjoy some of the great local benefits & delicacies. After an amazing summer packed full of pro cannabis events and protests including but not limited to, 420 in London, Manchester, Leeds, Durham, Bristol and many more, the Cardiff Global Cannabis March, Green Pride, Smoke on the Water, Valley Camp, Blazingstoke and an increased number of local club BBQ’s and get together’s, we thought it would be good to keep the excitement going with the biggest prize draw we have ever run at the UKCSC! 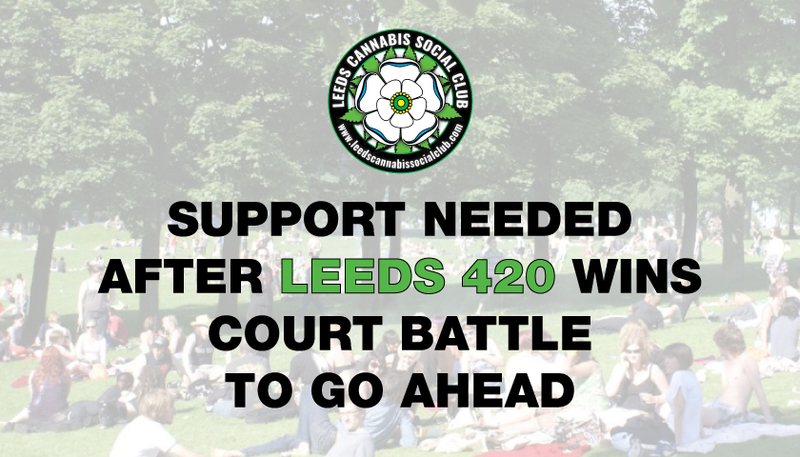 There are some huge campaign opportunities coming up for the movement to take advantage of and we felt this was a great way of raising money to help fund the UK cannabis campaign for adult regulation to gain consumer and producer rights and protection – but at the same time give those who buy a ticket a chance of winning a pretty special experience. 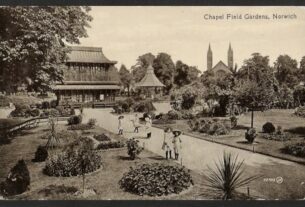 We have lined up some special treats, places to check out and a couple of things for you to do. 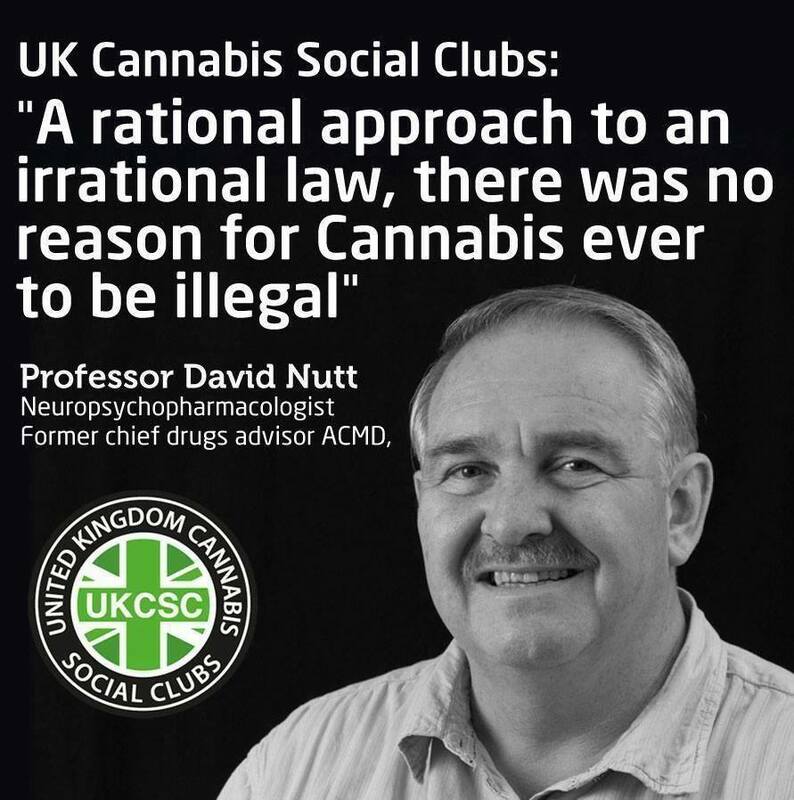 This will include taking you to become a member of two Cannabis Social Clubs where you will be able to try out some of the latest strains and meet UK Breeder True Cannabliss of True Canna Genetics. 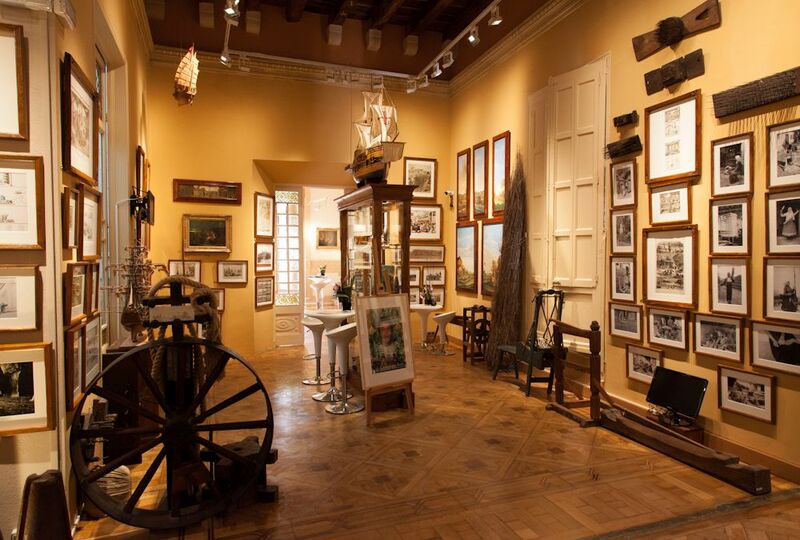 A tour of the Hemp, Hash & Marijuana Museum that Sir Richard Branson famously opened cannot be missed either. UKCSC are also making this an extra special trip by including £100 CSC credit to spend over the THREE days to make sure you have a really good time! But what’s more we’ll even pay for you to have a nice meal. As well as there being such a stellar first prize we are including second and third place prizes so you have even more chance of winning something! Tickets to enter are available from September 1st and will be available until December 5th 2017 at 16:20. 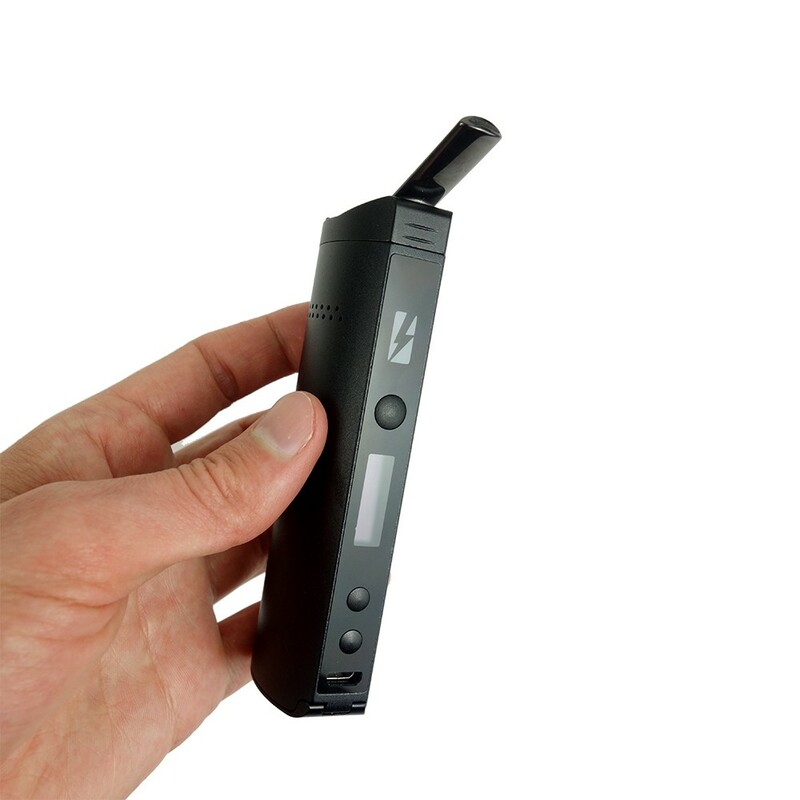 The draw will be made at December 5th at 19:10 live streamed to the UK Cannabis Social Club Facebook page. Tickets are £10 for 1, £25 for 3, £40 for 5 tickets. To buy your tickets, please make a payment that matches the number of tickets you would like to purchase by CLICKING HERE. If you would like to receive your physical ticket(s) in the post, please add £1.50 extra for postage, otherwise you will get a copy of your ticket digitally. Enter today to be in with a chance of winning the biggest giveaway we have ever run! 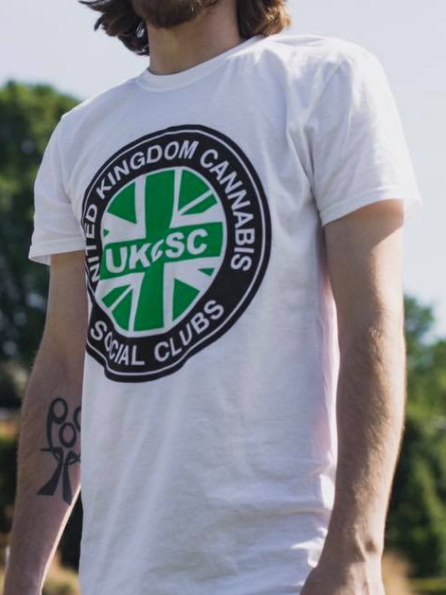 All proceeds raised go towards the running of the UK Cannabis Social Clubs campaigns, which in the new year will see a national tour designed to help bring the cannabis regulation for safer adult and medical use to the forefront of the public agenda. With the growing recent exposure our movement is getting and also creating, it is time for us to step out of the shadows even further and make a valuable contribution to the national public debate. Please be aware that we are not accepting refunds on this prize draw, so if you change your mind after purchasing a ticket you will not be able to get your money back.